I started with a standard quilt pattern, the log cabin, and made it in metal. I used various patinas to get the colors that I wanted. Like the quilters of old, I took scraps and made them into something beautiful. This is designed to be hung on the wall, although it could be set on a table or a shelf. 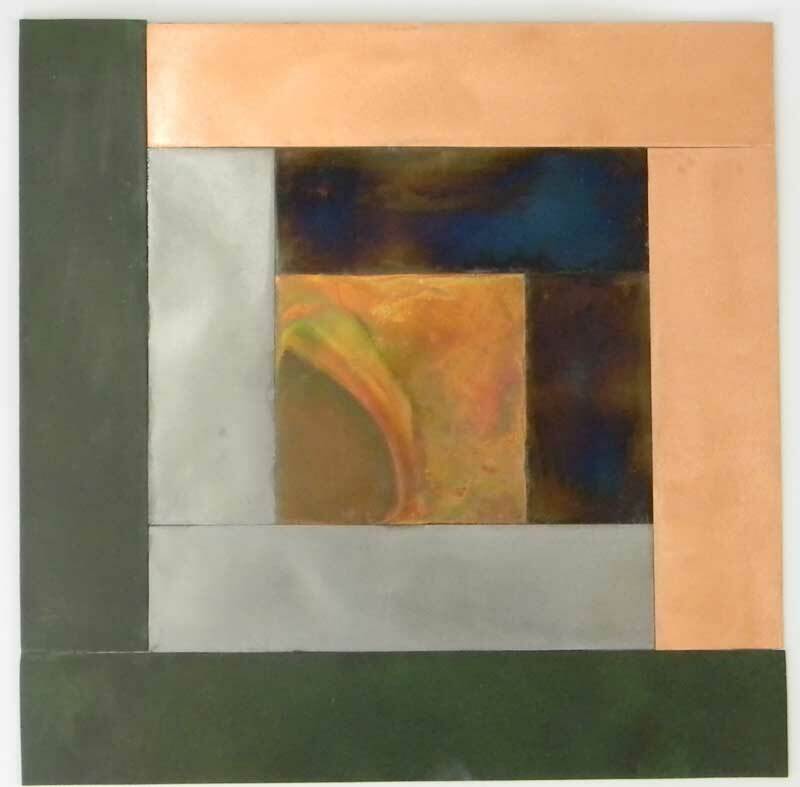 In this quilt block, we can see a variety of patinas.